Your time is valuable, and we should fit into your life, not the other way around. That’s why these easy features make managing and preparing for your service appointment a breeze with your MyAccount app. Log in to the Xfinity My Account app using your Xfinity username and password. Your service appointment will display at the top tile. Tap on the appointment to bring up a list of available options, including Add to Calendar, Reschedule Appointment or Cancel Appointment. If you choose to reschedule, a list of available dates and times will be displayed. Also available on your My Account app is the Tech ETA (estimated time of arrival) feature that enables you to view the time and date of any upcoming appointments, as well as provide you with your technician’s estimated time of arrival as the appointment draws closer. With Tech ETA, customers with scheduled appointments will be alerted when their technician is about 30 minutes away from their house and can monitor their progress on a map. 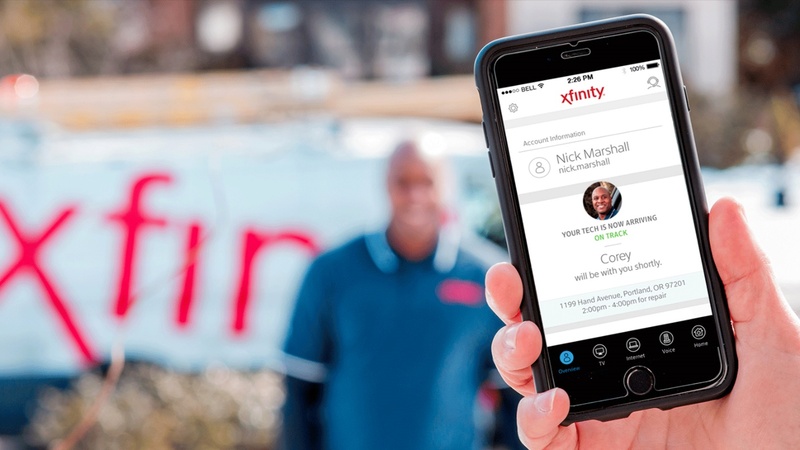 Just download the Xfinity My Account app on your Android or iOS device to enable these features and to view and manage your account information.